A closer look at the latest expansion in the Warframe universe, Warframe Fortuna. 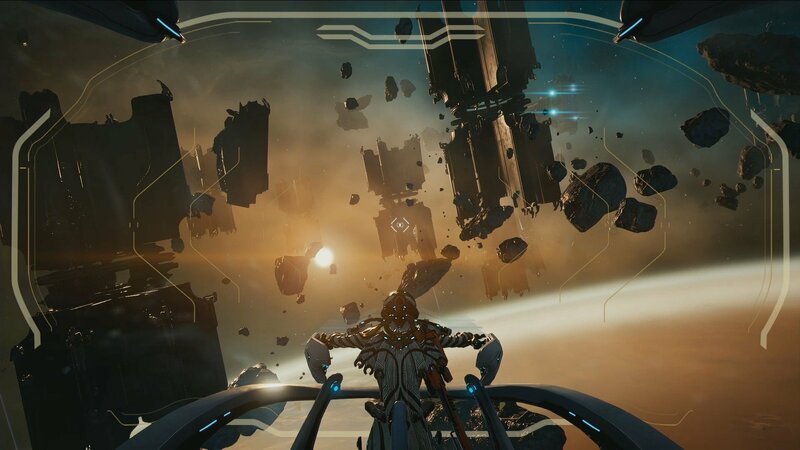 At TennoCon 2018, developer Digital Extremes announced a variety of exciting things including Warframe’s impending release on Nintendo Switch, and a brand new expansion called “Warframe Fortuna.” Naturally, Warframe players have been wondering just what Warframe Fortuna is and how it plays into Warframe as a whole. To help you out, we put together a quick recap featuring everything we currently know about the Warframe Fortuna expansion. Warframe Fortuna is a new Warframe expansion recently announced by Digital Extremes at TennoCon 2018. It features a new faction and world for players to explore. 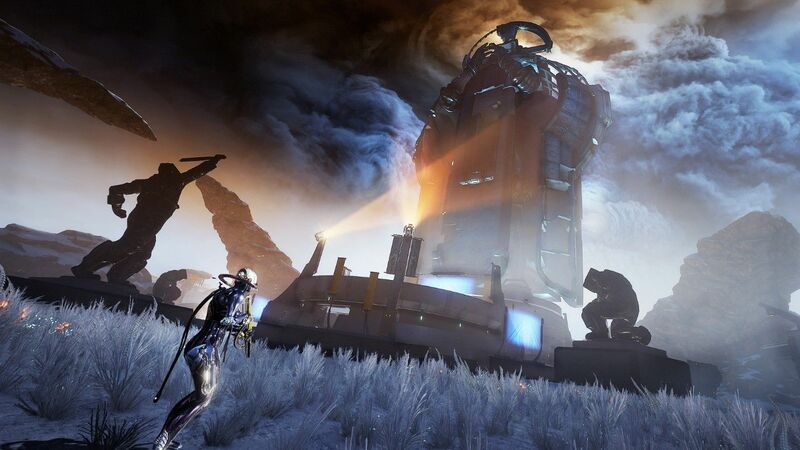 Similar to the Plains of Eidolon update, Warframe Fortuna will contain a new open-world hub area in the form of Venus. Here, players will have access to both a main trading and social hub. Visually, the market on Venus was heavily inspired by the science fiction realm of Blade Runner which can be noted in the area’s buildings, lighting, and overall feel. While exploring the world of Venus, you’ll be able to get a better understanding about the augmented people who inhabit the hub and toil away in service of the Corpus. In terms of story, Warframe Fortuna is comprised of two warring factions: the aforementioned Corpus, and rebels known as Solaris United. 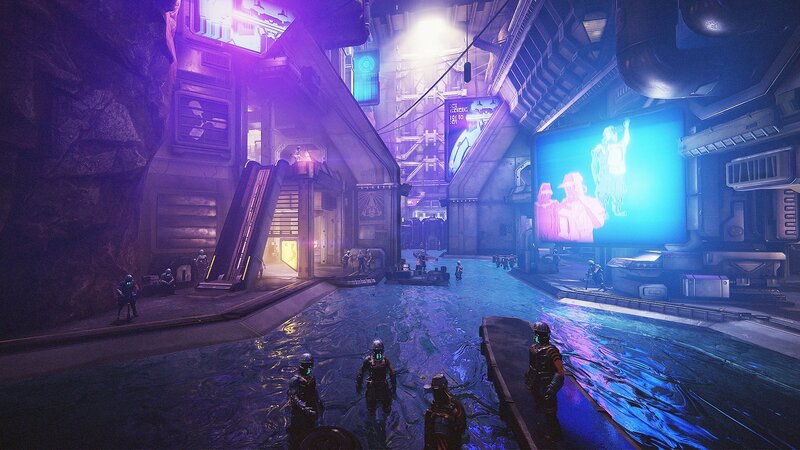 The Corpus are the ones currently in control, while rebel faction Solaris United are working behind-the-scenes to liberate the people of Fortuna. The leader of the Corpus faction is Nef Anyo, while the leader of Solaris United is Eudico. The two factions are at war with one another primarily because Corpus has been ruling Fortuna through a form of debt slavery. The goal of Solaris United is to take control back from the Corpus and free the people of Fortuna from their bonds of debt. You as the player will naturally be given a role in this conflict, and will be able to use the power of the Tenno to aid the rebel faction Solaris United. Will There be Hunting in Warframe Fortuna? You might’ve heard rumors that there will be animal hunting in Warframe Fortuna. This is partially correct, as a new feature in Fortuna will allow you to use tranquilizer to subdue animals and save their species from Corpus. Essentially, you’ll be playing a conservationist role rather than the role of a hunter. In order to save each species on Fortuna, you’ll need to purchase a special lure and Tranq Rifle from The Business in Fortuna’s hub area. With these items on hand, you can head out in search of animal droppings. Analyze these droppings for clues and you’ll be able to track the animal. While tracking the animal, you’ll eventually come close enough to hear the animal’s unique call. At this point, you’ll use your special lure to mimic the animal’s call (in the form of a mini game). Do this successfully and all you have to do is shoot the animal with your Tranq Rifle, tag it, then wait for a drone to collect the animal. Will There be a New Vehicle in Warframe Fortuna? If you’re wondering whether there will be a new vehicle in Warframe Fortuna, the answer is yes. Within open-world Venus is an area of snowy tundra where players will be able to make use of a new vehicle called the Bondi K-Drive Hoverboard. These vehicles let players traverse Venus quickly, but will remain grounded to ensure players have a consistent sense of scope and scale. The Bondi K-Drive Hoverboard is customizable with different skins and models. 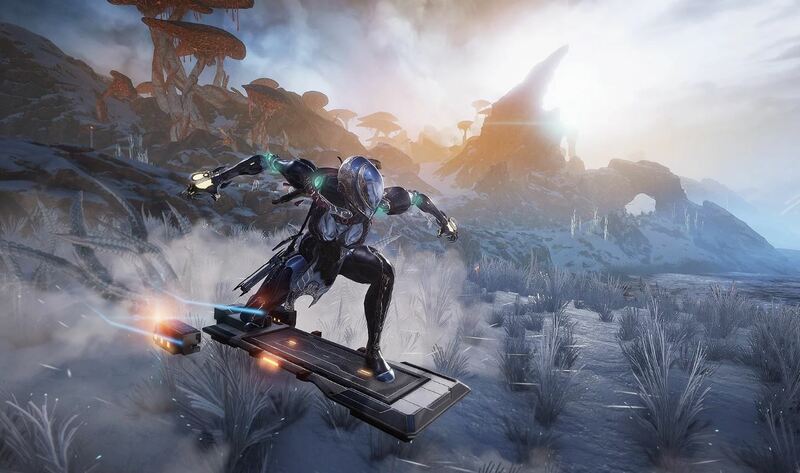 It’s possible to perform tricks with the Bondi K-Drive Hoverboard, though players won’t be able to fire weapons from the vehicle in its current state. Of course, there will be melee-style attacks incorporate into the Bondi K-Drive Hoverboard so you won’t be left completely defenseless. What’s the Deal with Warframe Fortuna’s New Strongholds and Spiders? 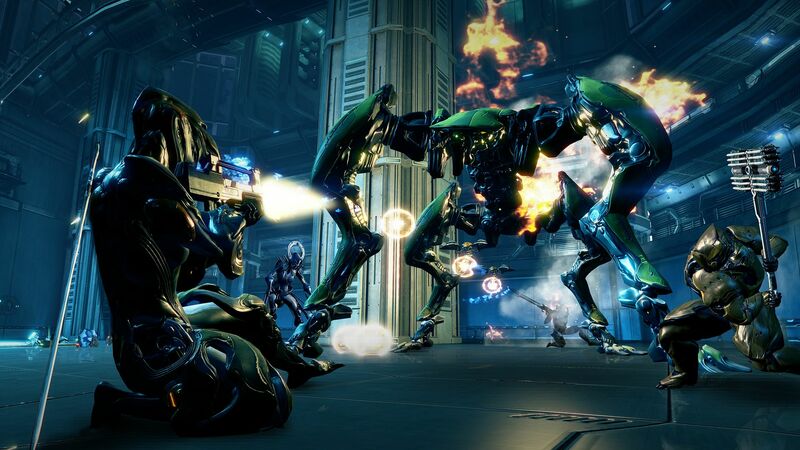 You’ll be able to liberate and take control of these Strongholds by killing Corpus grunts. In a nice turn of events, you no longer have to backtrack to turn in a quest. Instead, a Solaris United agent will appear at the liberated Stronghold to reward you. Note that the Strongholds in Warframe Fortuna will reset between sessions, giving you the ability to farm them for rewards. What is the Release Date for Warframe Fortuna? If you’re eager to get your hands on Warframe Fortuna, you may be wondering what the release date is for the expansion. Right now, Warframe Fortuna is projected to release sometime later this fall across all Warframe platforms. No concrete release date has been announced, so be sure to check back later for more information on when you can expect Warframe Fortuna to be released. What do you think of the latest expansion for Warframe in the form of Warframe Fortuna? What aspect of Warframe Fortuna are you most looking forward to? Let us know your thoughts down in the comments below!